There are different types of flies that cause a nuisance. Blue bottles mainly infest decaying organic or mammal carcases and feed on animal excrement, which makes them a huge environmental pest, carrying thousands of bacterial diseases. Cluster flies inhabit roof spaces between the months of September to March. The adults lay the eggs in flowerbeds and compost heaps. When colder weather arrives they hibernate over winter in roof voids and cavities. Thousands can accumulate leaving householders devastated in early spring when the flies decide to vacate the roof spaces and invade the living areas. The common house fly can be found in most households throughout the UK. They breed in and around rubbish dumps and decaying matter. Like the blue bottle they carry a whole host of unpleasant diseases. Removing breeding sites is importance when trying to eradicate infestations. 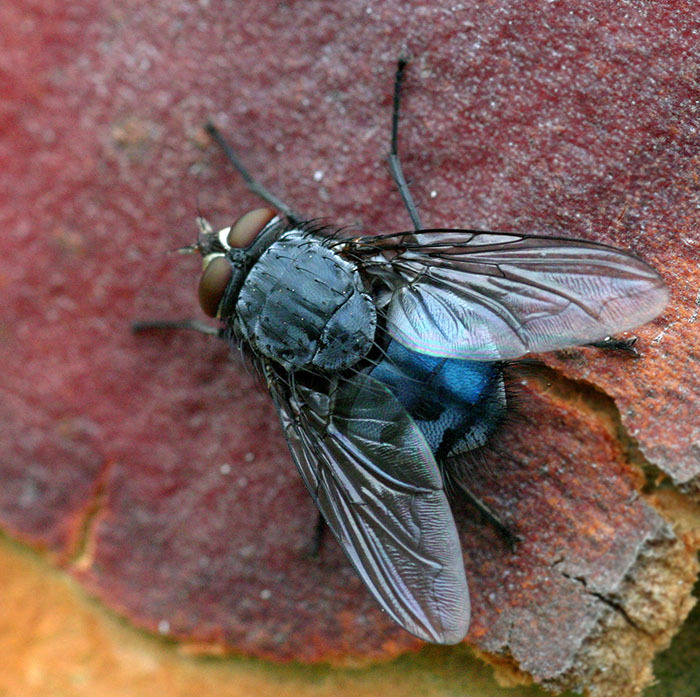 Lesser house flies thrive in poultry manure and are found mainly around farming environments. Local residents can identify the flies by their erratic flight patterns around lights inside and outside. Cluster flies – Aerosol fly killers will deal effectively with small clusters, larger and more established ones may need to be treated professionally and it is important to remember total eradication of this pest can never be guaranteed. A four hour exclusion time is required after this treatment is complete. 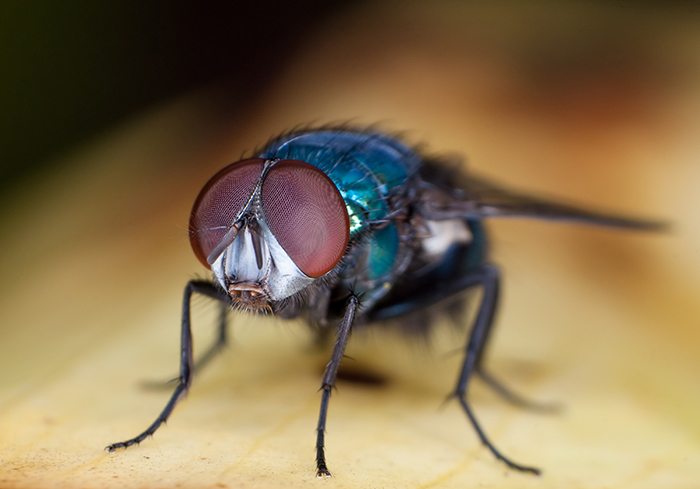 House flies – fly bag traps, spray treatments to window frames, ceilings and light fittings or domestic electric fly killers. After spraying, a four hour exclusion time is required. House Flies can transmit intestinal worms, or their eggs, and are potential vectors of diseases such as dysentery, gastroenteritis, typhoid, cholera and tuberculosis. They will frequently and feed indiscriminately on any liquefiable solid food, which may equally be moist, putrefying material or food stored for human consumption. House Flies liquefy food by regurgitating digestive juices and their stomach contents on to the food substance. This ‘liquid’ is then drawn up by the suctorial mouthparts and in so doing the insects pick up pathogenic organisms, which may collect on their bodies to be transferred on contact with other surfaces or survive passage through the gut to be deposited as fly spots. Fly spotting, produced when the House Fly feeds or defecates, results in rejection of contaminated farm produce, for example eggs, at point of sale. 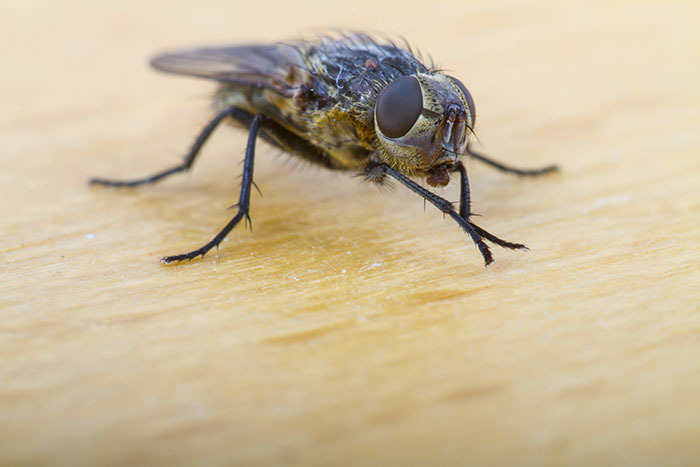 Furthermore, House Flies are frequently the subject of complaints to environmental health authorities, causing major problems where infestations over-spill from breeding sites such as rubbish tips and animal houses. The Lesser House Fly makes longer flights than the Common House Fly and spends less time resting. Females of the species tend to remain near the breeding sites and only the males migrate. For these reasons the Lesser House Fly is less prone to transmit disease than the Common House Fly, but large populations and similar feeding habits mean that this insect, too, has a considerable potential to act as a vector of disease. It has occasionally been implicated as a vector of intestinal or urinary myiasis.